This scarf was made by first laying out the gauze silk scarf. Then a base layer of roving was layed out to cover the entire scarf. Then a border of roving, the same color as the scarf, was layed out. Then 39 x shapes were formed in a 3 x 13 pattern out of two coordinating colors. 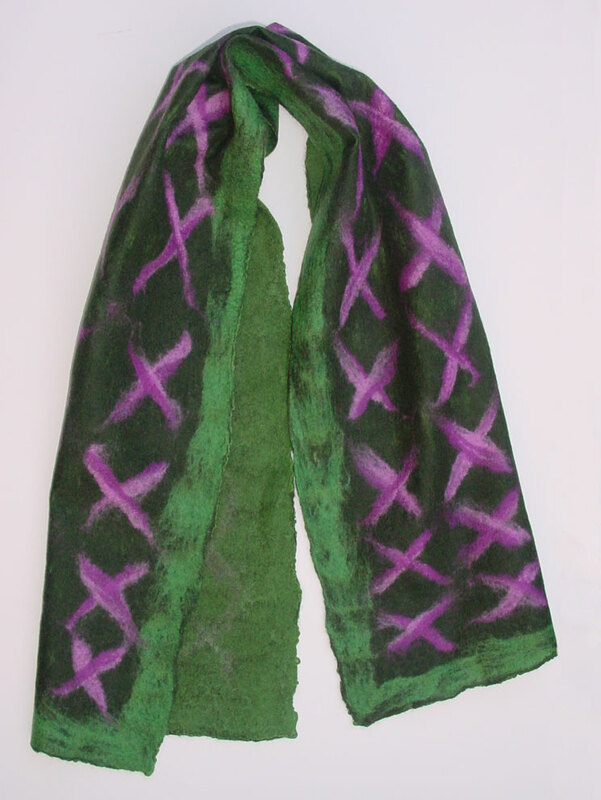 The scarf was felted with a sander, fulled by folding and dropping, and finished with a light rub on a glass washboard. Finished size: ~ 13 1/2" x 50"